Register now! The current lineup of professional development webinars is now available. We hope you will join us to explore these topics with leading scholars. We are continuing to emphasize the skills necessary for critical analysis and close reading, while providing content rich professional development and resources you can use in your classroom tomorrow. K-12 educators register for FREE. Use promotional code ITEACH. All sessions are conducted live, online, and last 90 minutes and include some preparation and readings. Documentation of participation is provided for CEU credit. Participants need a computer with speakers and an internet connection. As part of the 70th Anniversary Commemoration of the World War II surrender on board the Battleship Missouri, the USS Missouri Memorial Association is holding a free speaker series called “Mo-Joe” for the public on August 27 and August 28 at the Arizona Memorial Theatre at the World War II Valor in the Pacific Memorial. This series revolves around the 70th Anniversary and features noted historian and author, Mr. Paul Stillwell and the noted Pearl Harbor historian and author, Mr. Daniel Martinez. We ask you to register for this free event on the link given below. Visit this link for information and to register for the Mo-Joe Speaker Series being held August 27 & 28: CLICK HERE. 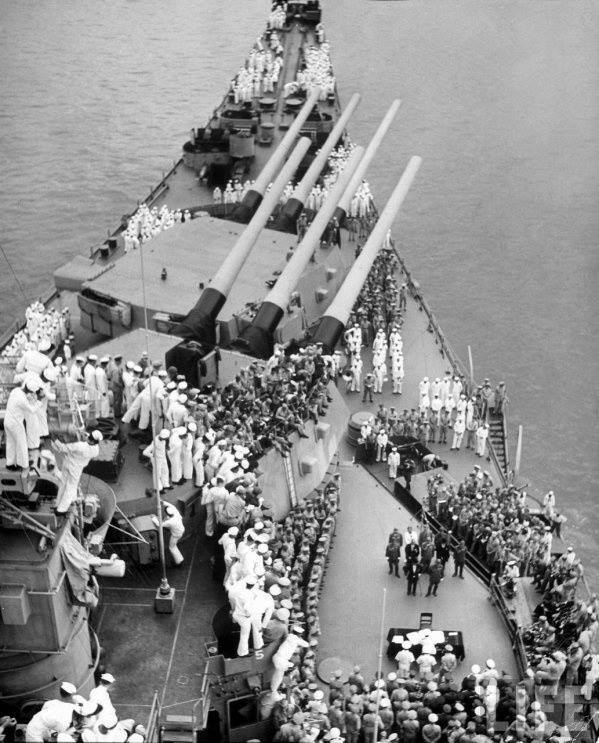 The Battleship Missouri is seeking photos of her former crew members that were on board the Missouri for the Surrender signing on September 2, 1945. Please share your photos with us as we would like to honor these heroes in a slideshow for our upcoming 70th Anniversary program. Please include: Full Name, Age, and Rank (at time of Surrender) and post your photo on Missouri's Facebook page. Pictures can be of present day, recent, or from 1945. Mark your calendars for Thursday, August 20, 2015, from 5:30 PM - 7:00 PM, at the King Kamehameha V Judiciary History Center. Whether you're a historian, scholar, researcher, or compiling family or community histories, you'll want to attend Doing Legal History. Historian and researcher, Anita Manning, will share her years of knowledge and experience in where to go, who to see, and what you can find in examining legal and other historical documents. Her wealth of knowledge on the ins and outs of research will make your hunt for information easier, less frustrating, and more fruitful. 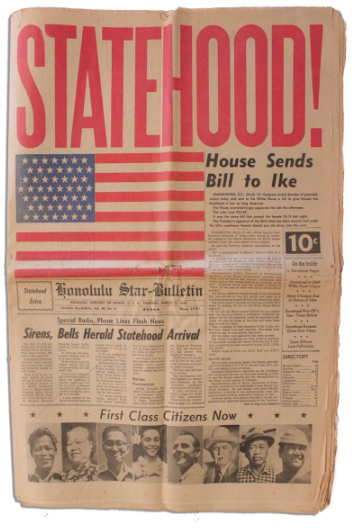 Manning has presented similar workshops for the Hawaii Council for the Humanities in preparation for History Day, a national program encouraging students to engage in history learning and social justice. She has prepared a resource booklet containing reference information on written, archival, and other resources that will be available at the workshop. The event is free and open to the public. Light refreshments will be served. Please click on the link below to RSVP or call (808) 539-4999 by August 19, 2015. Hawaii Governor Ige has appointed Ret. Col. Ron Han, Director of the Office of Veterans Services, as the lead for establishing the Hawaii State Committee for the Centennial of the First World War. According to Hawaii Committee Liaison Arthur N. Tulak, COL, U.S. Army, Ret., "a committee will form this month to explore how we can support the national WWI Centennial Commission with observances here in Hawaii to honor the 10,000 plus men and women who served in some capacity during the war." 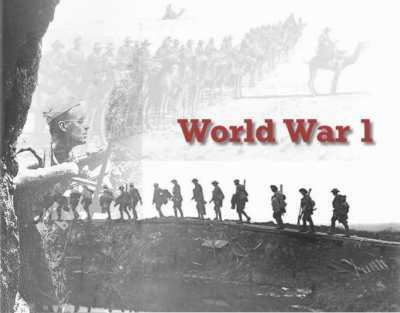 The Hawaii Committee is looking for historians with background and interest in World War I who can serve in advisory roles. Please contact History Education Hawaii at our email address or Col. Tulak at his email address with your questions and interest. Include name, current contact information, and any affiliations by August 30, 2015.